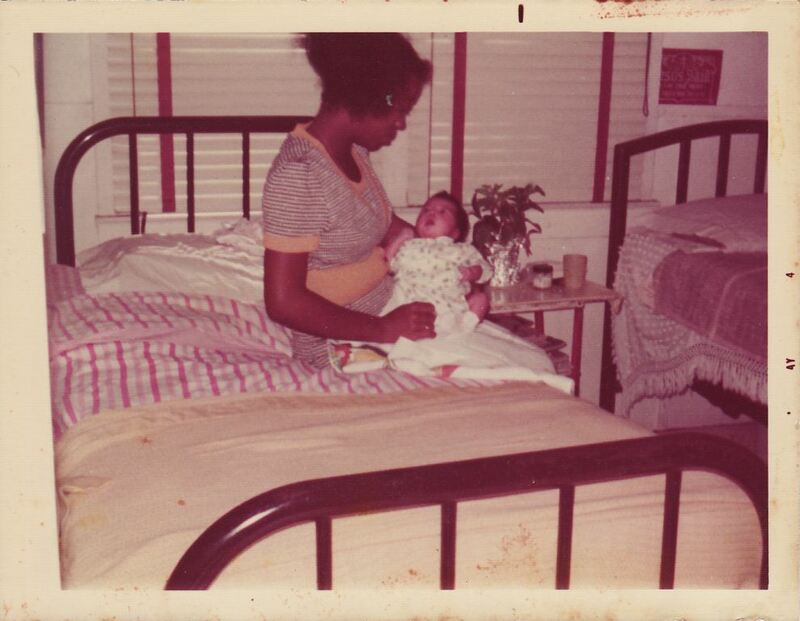 An African-American mother with her newborn child at the Jones-Francis Maternity Hall, located at 621 East Sixth Street in Georgetown, an historic black neighborhood in Sanford, Florida. The house was originally the home of Reverend John R. Hurston, the father of Zora Neale Hurston. Marie Jones Francis, the "midwife of Sanford," left behind a successful hotel and restaurant she owned in Sarasota in 1942 to return to Sanford and become a midwife. World War II caused a shortage in doctors and nurses, so Florida's Children's Bureau sent Francis to Florida Agricultural & Mechanical University to acquire her practical nursing license in 1945. She specialized in premature babies and returned to Sanford to aid her mother, Carrie Jones, at the Fernald-Laughton Memorial Hospital before they opened the ward in their home. "When her health started failing," she recollects in a newspaper article, "I took over." Francis converted her house at 621 East Sixth Street to also serve as a maternity ward, where she delivered over 40,000 babies over her 32 year career. She became a midwife in the same vein as her mother and together they ran the Jones-Francis Maternity Hall in Georgetown. Original color photograph: Private Collection of Daphne F. Humphrey. 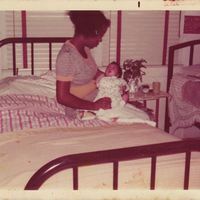 “African-American Mother and Child at the Jones-Francis Maternity Hall.” RICHES of Central Florida accessed April 26, 2019, https://richesmi.cah.ucf.edu/omeka/items/show/2916.